Ideas are the fuel powering the economies of tomorrow. It's no longer enough to be smart or agile—you must also be creative. Designers are getting hired as CEOs of venture capital firms. Entrepreneurs are launching successful companies using only their smartphones, Instagram, and a hot idea. NASA employs artists to help figure out how to get us to Mars. This is the future, and if you're not creative, you're getting left behind. 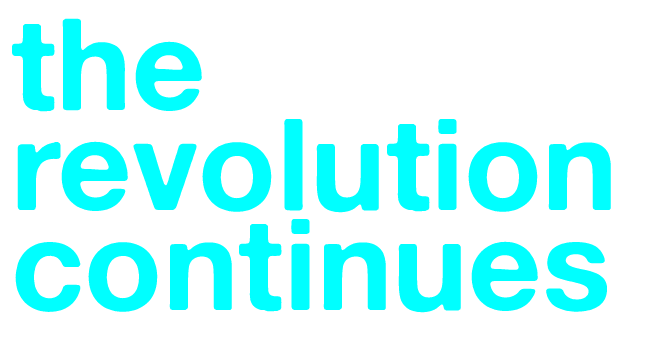 Creative Revolutionaries is an ongoing series of presentations by some of the most fiercely visionary cultural creatives driving the Fourth Industrial Revolution. Local, national and international leaders share their perspectives on opportunities unfolding before our eyes. Anthony Roberts gets to the bottom of Reverend Billy's radical work and the creative process behind his groundbreaking show! Jessica Bendinger has a candid conversation with Tom Hajdu and Ros Prosser about the state of art and data in Hollywood. Five spectacular guests explore the benefits of co-operatives for the creative industries - especially in regards to art festivals and the music industry. South Australian-born singer, songwriter and producer, Surahn Sidhu has enjoyed a prestigious and prodigious career. Michael Eales, strategy designer at the award winning global strategy, design and innovation firm Business Models Inc, speaks on how to apply your creative confidence to change the terms of business. This presentation, from the award-winning author and Creative Director of Hybrid World Adelaide Robert Tercek, provides an exhilarating overview of the massive change underway as industrial companies are transformed into software firms. Laurie Anderson spoke at Elder Hall about her new book All the Things I Lost in the Flood, including a Q & A session. Watch Tom Hajdu, the Chief Innovator of South Australia, present an overview of how this technological revolution impacts music, media and creative industries. Be the first to knows our news!